The twins who played Emma in Friends are all grown up now, and are currently starring in Jordan Peele’s horror Us. Cali and Noelle Sheldon played Rachel and Ross’ daughter Emma in the hit sitcom when they were one-year-olds, and they are now back in the spotlight. Playing teenage twins Becca and Lindsay, the on-screen daughters of Kitty Tyler (Elizabeth Moss), Us marks the Sheldons’ big screen debut. The real-life twins have also appeared in several short films since Friends, pursuing their passion of acting. Earlier this year Friends fans took to Twitter in shock after they realised next year Emma would be turning 18 in the fictional world of the show. 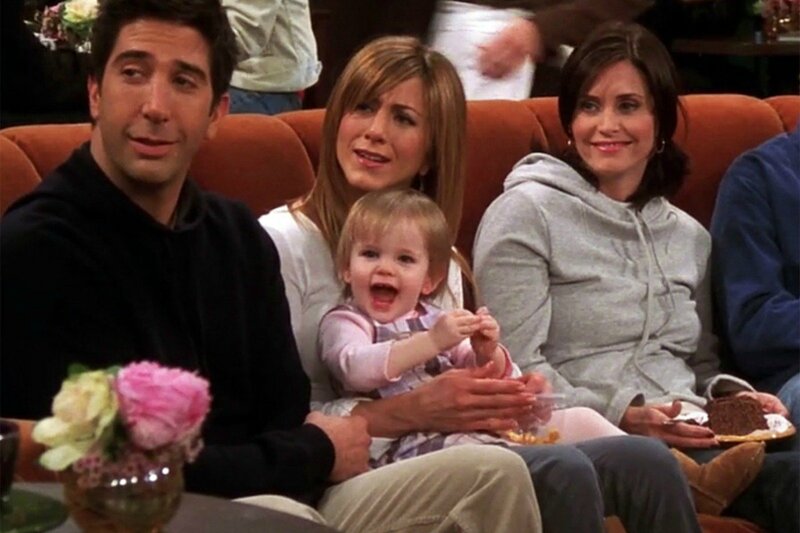 In the episode The One With The Cake, guests at Emma’s first birthday party recorded messages which will be shown to the child at her eighteenth. Hi Emma. It’s 2020. Have you woken up from your nap yet? And it’s just dawned on me that 2020 is NEXT YEAR. Emma would be 18 NEXT YEAR. Unsurprisingly the tweet received over 53,000 likes, with many fans sharing appropriate Friends GIFs in the replies. Cali and Noelle will also turn 18 next year then, on June 17, and after the success of Us, I am sure 2020 will also be promising for the young actors. Peele’s film dominated the box office at the weekend, breaking two world records. According to Box Office Mojo, Us had the biggest opening ever for an original horror movie and the biggest opening ever for an original R-rated movie. Earning an estimated $70.25 million, Us also had the biggest opening for an original live action movie since Avatar, which is quite the achievement. Looking ahead at its domestic prospects, it’s not easy to determine just how high Us will climb. While Get Out pushed over $176 million, Halloween finished its run with $159.3 million, though the latter was certainly a product of nostalgia and seasonal relevance. That said, one would expect Us to play closer to Get Out and push over $200 million, but how far over? On average, films that open anywhere from $65-75 million deliver a 3.36x multiplier, which would suggest a domestic performance around $236+ million, which seems like as good a bet as any right now. Universal Pictures, the studio behind the horror, really must be seeing only dollar signs right now.